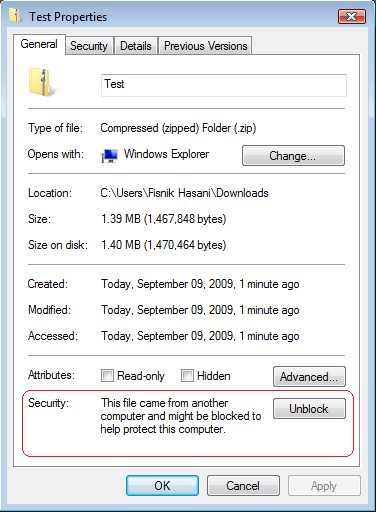 A while back I wrote to ArkeGlobal about windows 7 blocking my files. It really should go here, so here it is with some updates. There is an ‘Unblock’ button right next to it and once I clicked it, it solved my issue. Look at solution 3 and/or 4. It will have the same 'unblock' feature that all it's children are inheriting from. Once I unblocked the zip, I extracted and all my files played nice again.